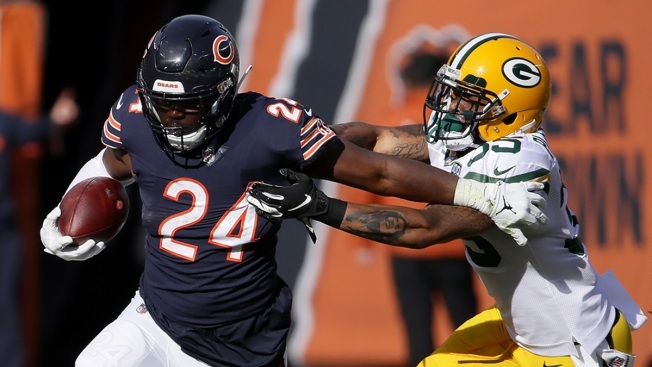 After a lot of trade rumors, Chicago Bears running back Jordan Howard is on the move. Howard has officially been dealt to the Philadelphia Eagles in exchange for a conditional sixth round pick in the 2020 NFL Draft, the Bears announced Thursday night. That pick can reportedly become a fifth-round pick if unspecified conditions are met, according to a report from ESPN's Adam Schefter. Howard has been the subject of trade rumors virtually since Matt Nagy took over as head coach, with his lack of pass catching ability working against him in the more up-tempo Bears offense. During the 2018 season Howard rushed for 935 yards and nine touchdowns, but caught just 20 passes in 16 games with the team. Now, it will be Tarik Cohen likely getting the majority of the touches out of the Bears' backfield, along with new acquisition Mike Davis. The Bears do have several draft picks they could use on running backs, but it remains to be seen where the Bears feel they will need to use their limited draft capital.